When our young people come to us, they usually have issues which have been preventing them from achieving success. 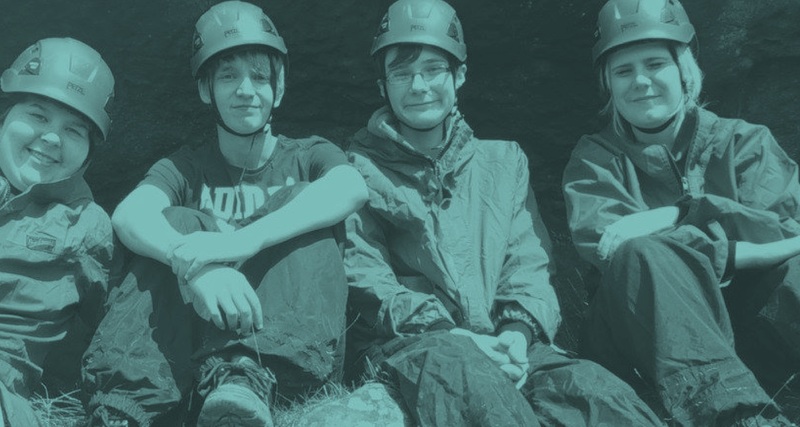 So, we start there: We work with them to tackle those issues head on and to build the confidence, self-esteem and resilience they’ll need to take control of their future. We take them hill walking and canoeing. We get them climbing, building shelters and ‘weaselling’ - navigating their way through small spaces. We teach them ‘camp craft’ – how to put up a tent, build a fire and cook outdoors - and we take them away on residential weekends. Push their personal boundaries, to inspire and challenge them to succeed. Develop life and priority social skills such as communication, leadership, team working, respect for others and to apply this learning to other areas of their lives. Dylan had done well at college. He was keen and enthusiastic and had shown good ability in his Business Administration course. But he was struggling to take the next step into employment or training and he was becoming increasingly isolated at home. Feeling that his autism was holding him back, Dylan decided to take action. He saw an advert for Endeavour’s Youth Employment Initiative and signed himself up. That one decision led to a whole world of new experiences. Over the new few months, he was thrown into weaselling, camp craft, and an archaeological dig. He helped to research and make plans for a new social enterprise with one of our partner charities. He worked in a team and was given responsibility for himself and for others. Over the course of the programme, as well as gaining new skills, Dylan’s confidence has visibly grown. He has become more assertive, suggesting ideas and solutions where he would have once taken a back seat. Most importantly, Dylan has a new optimism. Instead of seeing barriers to his future, he is starting to believe in what he has to offer.